A mix of red wines from Kalala & Dostana. If you are a red-wine lover then this is the package for you! You will receive a mix of both of our labels from various vintages. 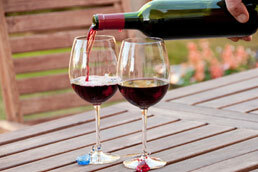 From light-bodied sipping reds to full-bodied meal reds, this package includes it all. You will also get to enjoy a beautifully-aged red from our cellar from time-to-time.